In 1932, Elkin Mathews Ltd., London, published catalogue Forty-Two, Books of the "Nineties". Included were six books by the Victorian author Eugene Lee-Hamilton (1845-1907). 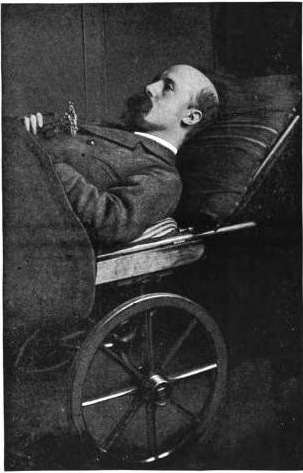 For twenty years, Lee-Hamilton led the life of an invalid, after he suddenly lost the use of his legs in 1873. He was nursed by his mother, but from time to time his half-sister Violet Paget (the writer Vernon Lee) also looked after him. Gradually, some improvements in his situation were noted, but a complete recovery occurred only after his mother had died. He alluded to this recovery in a letter to Oscar Wilde included in the catalogue that was published by Elkin Mathews in 1932. 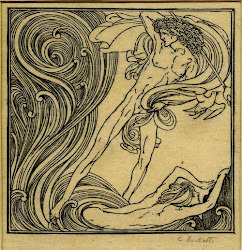 A copy of Sonnets of the Wingless Hours (1894) was inscribed "To the author of Salomé, a little tribute of admiration. Florence. May '94'. This was before his complete recovery in 1896. This copy came from the collection of A.J.A. Symons, an ardent collector of the 'nineties'. Inserted in it was a letter from Lee-Hamilton to Oscar Wilde, in which he gave some details of 'his miraculous recovery and thanking Wilde for a gift of The Sphinx upon which he makes detailed observations’. No letters from Oscar Wilde to Lee-Hamilton seem to have survived. Sotheby's estimates that this copy will fetch £20.000-£30.000.